Simon joined us in 2001 after 5 years in another established law firm renowned for their insurance practice where he was a partner handling both insurance and shipping work. 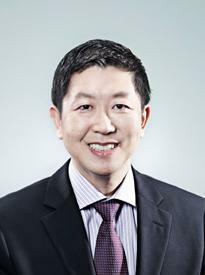 He heads Rajah & Tann’s Insurance & Reinsurance practice group and has been consistently recognised by established publications in his area of expertise over the years as one of the world’s leading insurance and reinsurance lawyers, including the latest editions of “Chambers Asia Pacific (2019)” (where he is the only Singapore-qualified lawyer ranked as a Band 1 – Leading Individual), “The International Who’s Who of Insurance and Reinsurance Lawyers 2018", "Asialaw Profiles (2019) for Insurance”, and in “Experts Guides for Insurance & Reinsurance (2018)”. The winner of the Client Choice Awards 2017 for Insurance Law in Singapore, Simon has been described by Chambers Asia Pacific as “a class act” held in high esteem by peers and as being “highly commercial and pragmatic in helping clients find solutions” and is valued for his “clear, comprehensive and concise advice” as well as being a “very calm, very measured practitioner who doesn’t get aggressive or agitated by opponents’ tactics”. He has also been selected by peers for inclusion in The Best Lawyers in Singapore (2019) for Insurance Law. The focus of Simon’s practice is on both the contentious and non-contentious aspects of insurance and reinsurance. He has advised and acted for most of the major insurance companies in Singapore ranging from captives, marine mutual insurers, general and life insurers to reinsurance companies. Simon has advised on policy coverage disputes in all classes of insurance which encompasses advising insurers on their legal rights under policies, strategising the best way forward for insurers, defending claims brought by insureds or by third parties and recovery action under subrogation rights. On the non-contentious aspect, Simon has assisted clients in securing the appropriate licences to conduct their insurance or broking business in Singapore, drafting of insurance policies as well as advisory work in relation to regulatory issues for insurers, reinsurers as well as for intermediaries and brokers in an increasingly complicated regulatory environment. Simon’s experience in the corporate insurance arena includes advising and acting for insurers and reinsurers on acquisition and portfolio transfers of their business. In the area of commercial litigation and international arbitration, Simon has acted for clients in shareholder disputes concerning international joint venture companies and for clients in cross-border disputes arising from the international sale of goods and other transactions of an international dimension. Simon’s practice extends to administrative law where he has successfully defended government bodies in judicial review applications in the High Court and the Court of Appeal. Represented US Fortune 200 company in an SIAC arbitration against an Indonesian conglomerate in a US$330 million dispute over export credit financing of two paper and pulp plants. Advising insurers under a banker’s policy arising from multiple claims estimated at S$80 million against the insured bank due to the mis-selling of structured products linked to Lehman Brothers. Acted for insurers in a S$51 million claim from a major power station in Singapore for damage to its steam turbine and boiler under a comprehensive machinery breakdown insurance policy. Acted for luxury resort hotel chain against their insurer for property damage and business interruption claims in excess of US$35 million due to the Boxing Day 2004 tsunamis. Acted for a European retrocessionaire against various retrocedents in relation to multi-million dollar property damage claims sustained due to riots and political unrest in Thailand in 2010. Acted for Royal & Sun Alliance Insurance Plc for their sale and transfer of insurance business in Singapore to Allied World Assurance Company. Represented Liberty Insurance in S$68 million-dollar claim in the Singapore High Court by Samsung Corporation for alleged wrongful repudiation of liability under a contractors’ all risk policy for the ‘tilting’ building project at Church Street, Singapore, now known as Samsung Hub. Represented insurers as claimants in limitation proceedings commenced by a prominent P&I Club in the Singapore High Court for the worst oil spill in Singapore’s history arising from the collision between the vessels “Evoikos” and the “Orapin Global”. Represented Registrar of Vehicles in judicial review proceedings in the High Court and Court of Appeal:  3 SLR 340;  4 SLR (R) 145. Represented the Land Transport Authority on instructions of underwriters in the first merit hearing of a claim for damage due to MRT construction work before the LTA Compensation Board and successfully defending the award on review to the High Court of Singapore in 2016. Acted for Swiss Re and working with the relevant government agencies as the Companies Act was amended for the first-ever re-domiciliation of a foreign company to Singapore in 2017, and in the subsequent portfolio transfer of the reinsurance business of Swiss Re, Singapore branch in 2018 to the newly re-domiciled company, renamed as Swiss Re Asia Ltd. Advising on the unique structure for Asia’s first regional climate and disaster risk financing and insurance facility known as the South East Asia Disaster Risk Insurance Facility (SEADRIF) announced at the 21st ASEAN + 3 Finance Ministers’ and Central Bank Governors’ Meeting in May 2018. Acted for Insurance Australia Group Limited (“IAG”) to complete the first insurance-linked securities transaction in Singapore - the issuance of a A$75 million catastrophe bond by Orchard ILS Pte, Ltd., the first special purpose reinsurance vehicle to be licensed by the Monetary Authority of Singapore, with IAG as the ceding reinsurer. Insurance Chapter in Law Relating to Specific Contracts in Singapore, 2nd Ed, Sweet & Maxwell. “The impact of the UK Insurance Act 2015 on Singapore Insurance Law and Practice”, Singapore Law Gazette, October 2016 issue. Chambers Global Practice Guide - Insurance & Reinsurance 2019, Singapore Chapter.